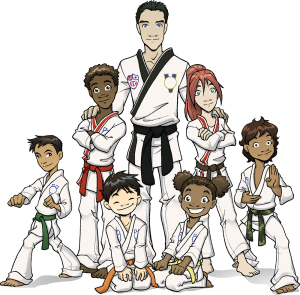 Karate for Kids is a program specifically designed for children. Kids learn much differently from adults, and the karate for kids program reflects that. 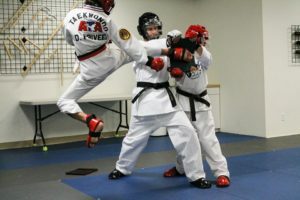 Karate for kids is a combination of several martial arts, and has a comprehensive life skills program as well. 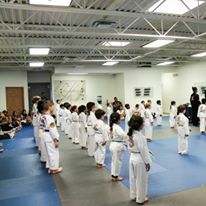 Kids will learn taekwondo, karate, and even a little brazilian jiujitsu. In addition they will have life skills such as respect, focus, and attitude. Karate for kids also has a merit system for behavior at home, school, and their community. The long term goal for karate for kids is to have well disciplined, focused, hard working goal achievers that pay it forward. They can start to change themselves and their world right away! Interested in learning more about the Karate For Kids Program? Try a free class now! There are many reasons for kids to become involved in Martial Arts. 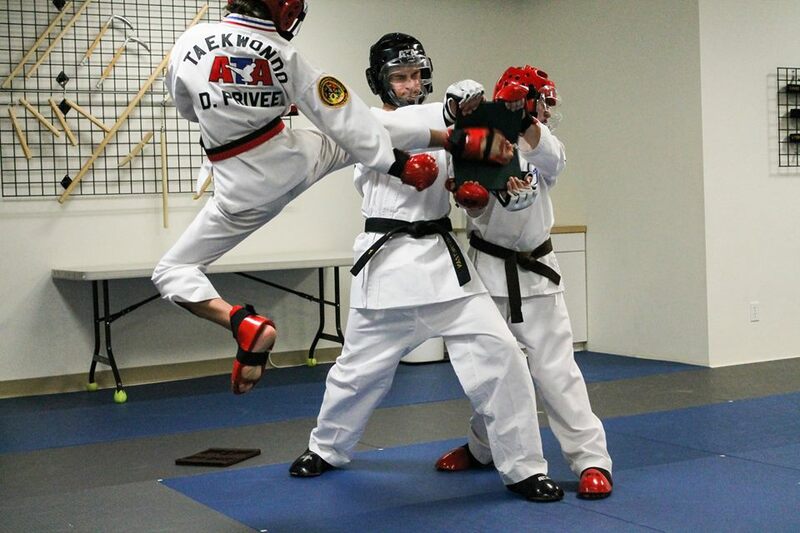 The ATA has developed a program based on traditional Taekwondo called “Karate for Kids”. 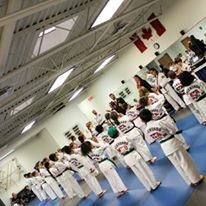 With over 30 years of research with childhood education and development specialists, the Karate for Kids Program is based in a lifetime learning concept in addition to technical skills. In addition to monthly themes, our system includes the unique victory patch. Kids are rewarded special “Victory Stars.” These different colored stars are rewarded for outstanding performance in karate class, school, home or at a tournament competition.